Madam C.J. Walker was an African American entrepreneur who established a business selling hair care products to women in the 19th century. Her birth name was Sarah Breedlove, and she was born on December 23, 1867, near Delta, Louisiana. She was the first child in her family to be born free, as her parents had been slaves before the Emancipation Proclamation was signed in 1863. Her mother died when she was 5 years old, and her father remarried soon but died a year later. Left orphaned at the age of 6, Sarah went to live with her older sister and her husband, Willie Powell. She suffered mistreatment at the hands of her brother in law. Sarah was herself married at the age of 14, having her first child, a daughter named Lelia McWilliams (later renamed A’Lelia Walker), at the age of 17. Her husband, Moses McWilliams, died when Sarah was just 20 years old. Sarah then moved to St. Louis where three of her brothers worked as barbers. She got herself a job was a washer woman, and made little more than a dollar a day. Yet, she managed to save enough money to send her daughter to school. While in St. Louis, Sarah suffered a scalp ailment which caused permanent hair loss, possibly aggravated by the poor hygiene standards of the time. She then took up a job as a commissioned sales agent for an African American entrepreneur named Annie Turnbo Malone to sell hair care products. While working for Annie, she assimilated all the ideas and knowledge she could, and then set out to establish her own business as a hairdresser, beautician and cosmetics retailer. It was then that she met her second husband, Charles Joseph Walker who worked as a newspaper advertising salesman. He suggested that she should change her name to Madam C.J. Walker as it sounded more distinctive. Madam Walker trained women to become “beauty culturists” while her husband handled the advertising and promotion for the business. She groomed her sales agents, taught them the art of selling, and organized them into local and state clubs, along the same lines as the set up of the National Association of Colored Women. She travelled with her husband all over the country to expand her business, while A’Lelia handled the mail order operations of the business. In 1908, the couple set up a college named after her daughter Lelia to train “hair culturists” in Pittsburgh. In 1910, they set up their headquarters and a factory, hair salon, laboratory and beauty school in Indianapolis. Her business became more successful and even spread outside the United States to countries such as Cuba, Jamaica, Haiti, Panama, and Costa Rica. All the while, Madam Walker continued to benefit women by training them to be independent, and to acquire other necessary skills to establish their own businesses. Madam Walker also gave lectures on important social and political issues at conventions sponsored by black institutions. She established the first forum for African American business women to meet and discuss business and commerce, which came to be known as the Walker Hair Culturists Union of America convention. She commissioned Vertner Tandy, the first black architect, to design her house for her in New York at a cost of $250,000. She supported various causes, particularly those beneficial for colored people. Just before her death, she donated $5000 to the “National Association for the Advancement of Colored People (NAACP)” and left two-thirds of her fortune to charity, with one-third going to her daughter. After her mother’s death due to hypertension at the age of 51, A’Lelia Walker took over the business reins, the worth of which was estimated to be just above a million dollars at the time of her death in 1919. Madam C.J. 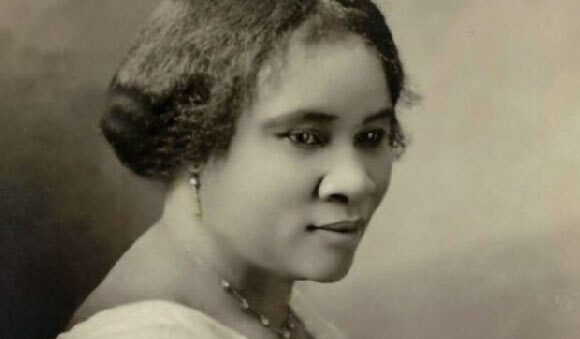 Walker was the first self made African American business woman to become a millionaire.